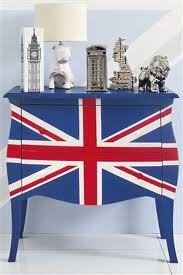 Following our recent article about how Anglian Home Improvements is a British brand, and that buying from British companies will help the country out of the current recession, I thought I would share with you some incredible furniture, home accessories and interior designs that are waving the flag for Britain. Our nations flag can be called either the Union Jack, which it is commonly known, or the Union flag, as it is also known since King George III coinciding with the union of 1801, with the King proclaiming it to be the Union flag. You may not realise it, but a lot of designs that are on the high street and even in smaller, boutique stores are paying homage to the Union Jack Flag or to our British heritage. 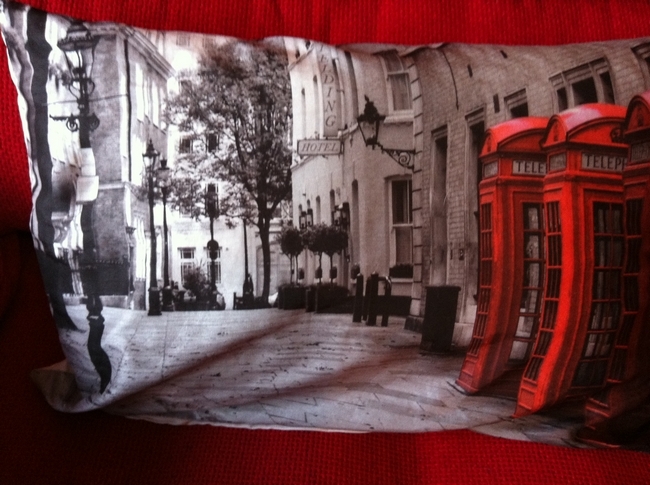 I myself have a t-shirt with the classic royal red phone-boxes on it and we recently brought a cushion with a similar design. The cushion is black and white, the only colour being the red of the phone-box, so it coordinates brilliantly on our royal red sofa! 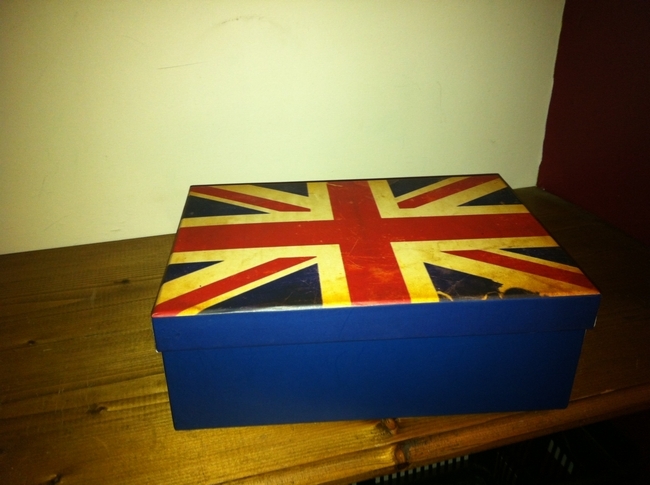 It appears I am a sucker for trends, as I also own a shoe box, which is quite simply the Union Jack design. It looks great on our shelves and is handy storage for small things that may make a room look messy (I like a tidy house). However, I have seen similar storage boxes elsewhere, in much bigger sizes, so they could be ideal for storing the kid’s toys in a trendy box in the living room. The colours of our iconic flag are definitely fashionable at the minute, with royal red, blue and white adding a bold colour to whatever room you like. There are some brilliant royal blue blinds for sale in certain retailers, which lets in gorgeous tinted light through the windows, and vibrant royal red furniture will add colour to neutrally painted rooms. Dwell has a gorgeous white leather chair for sale, which would look stunning in a modern, simplistic living room. What is nice about this trend is that you can be subtly patriotic with your decor, meaning you don’t have to redecorate as soon as the Jubilee is over! By using these red, white and blue furnishings in plain rooms, they can be changed cheaply and easily, but they will continue to look good past 5th June. A red lamp or blue chair will look stunning in a plain white room, transforming it from dull to animated with some simple changes. You don’t even have to get a new sofa, a large blanket in any of the colours looks great when thrown over the sofa, and it keeps it clean too. 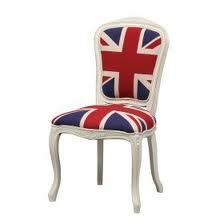 However, if you want to be loud and proud about our nation, then these furnishings are for you! Barker and Stonehouse have a four seater Union Jack flag leather sofa, which is bold, comfortable and amazingly British. You can salute the Queen herself each morning with a wallpaper mural, before grabbing your Union Jack socks from your Union Jack chest of drawers. Once you are dressed, you can then go to your kitchen to grab a Union Jack bowl out of the Union Jack cupboard for some cereal, getting the milk out of your Union Jack fridge. After you have eaten your breakfast at your dining table, which has Union flag designed chairs, you can quickly wash up your bowl, not worrying about the splashes as you have a Union Jack splashback to protect the walls. Before running out of the door you can poor yourself some tasty, refreshing British tea from your Union Jack teapot, admiring the stunning Union Jack wall tiles you fitted the night before. After a long day at work you can come home and rest your head on a Union Jack pillow whilst watching The King’s Speech. Who’s feeling patriotic now? Alternatively, you could just put up a flag? So, for the Queen’s Jubilee, which takes place on 5th June 2012, you can have a house that is a bold ‘long live the Queen’ statement or you can give your home a subtle makeover that gives the nod to Her Royal Highness. Either way, we should come together as a Nation and celebrate this momentous occasion.